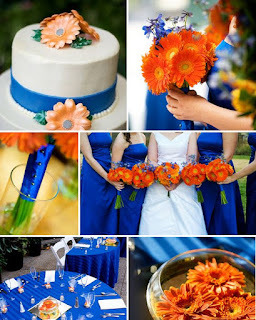 Looking to incorporate the Florida Gators into your special day? Check out my Pinterest board for these ideas and more! 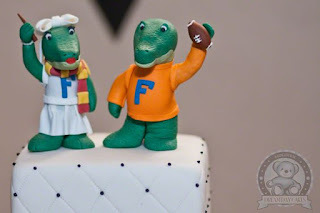 These Gators cake toppers are just the cutest!! 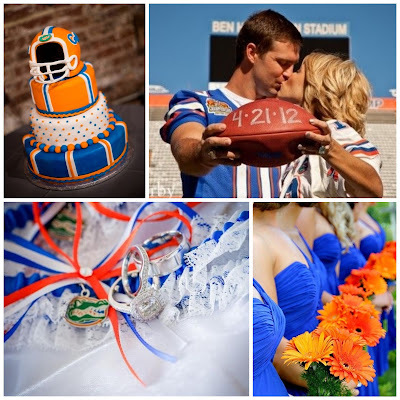 Blue and orange pair perfectly together, and make a great way to represent the Gators in an understated way! 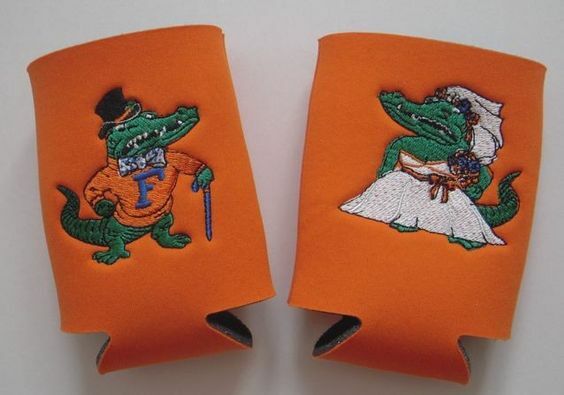 Your guests will love these Gator themed koozy favors! And you can find your University of Florida Gators wedding garter in my shop!